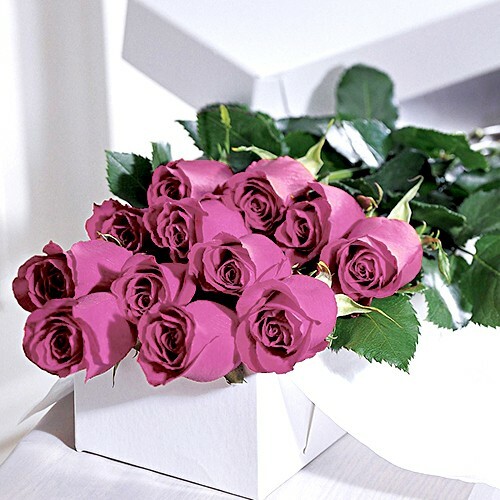 Send a dozen precious roses to light up someone's day! These fresh roses are arranged nicely in a white box making it a perfect gift to celebrate Mother's Day or any other special occasion. You have to agree, this bouquet speaks of pure grace and sophistication.